Lovers of a good rags-to-riches story would take extra pleasure in getting to know about Glen Powell. Coming from a lowly background with no connection or affiliations to people with significant influence in the movie industry, Glen Powell was able to achieve his childhood dreams of becoming a top actor through his diversity, diligence, and hard work. The actor, who is popularly revered for his role as Chad Radwell in the hit Fox comedy horror series Scream Queens, has gained massive popularity for his ability to fit into any role he is being asked to play in exquisite fashion. Besides being an actor, he also equals as a writer and producer. Read on to know more about Glen Powell his early life, filmography as well as his brief romantic entanglement with Nina Dobrev. 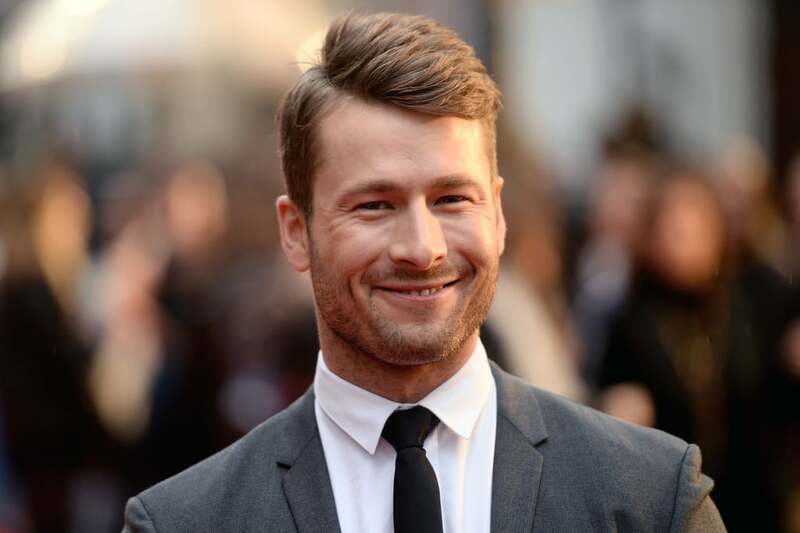 Glen Powell was born on August 21, 1988, in Austin, Texas, USA to his parents – Glen Sr and Cyndy Powell. Speaking about his family, he has two sisters who both go by the names – Lauren and Leslie Powell. As regards his educational background; he had his high school education at Westwood High School in Northwest Austin. During his time in high school he was known to have an immense passion for acting; a passion that lured him into joining the school drama team and eventually led him into making a guest appearance in the 2003 comedy film Spy Kids -3D: Game Over. It’s also important to note that at that point in time he was also a member of the award-winning Broadway theatre production troupe – Broadway Texas Player which reigned from 1999 – 2003. Upon completion of his high school education in 2007, Glen Powell decided to further his education at the University of Texas, Austin where he majored in Radio, Television, and Film. While studying at the University of Texas, he developed a reputation for being a vocal member of the Sigma Phi Epsilon Fraternity. After successfully obtaining his college degree, he relocated to Los Angeles so as to focus wholly on his career as an actor – a move which turned out to be life-changing. Having ventured into acting at a really tender age, Glen Powell has over 30 acting credits to his name. Surprisingly, he racked a lot of that number before becoming famous. After making his acting debut in the American Spy Adventure film, Spy Kids 3-D: Game Over in 2003, he made an appearance as Rich Wolf in an episode of the 2004 American Drama television series, Jack & Bobby. The following year, he scored another minor role as a Paperboy named Travis in the movie, The Wendell Baker Story. From 2006-2008, he starred in a series of movies and TV shows such as Fast Food Nation, The Great Debaters and Without a Trace. In 2009, he received a significant boost in his career after given the chance to play the character of Logan Crawford in the hit series, CSI: Miami. His big break, however, came in 2015 when he was cast to play the character of Chad Radwell in the American comedy horror television series Scream Queens, in what can be considered his first major role in a TV show. Ever since making it to the spotlight in 2015, he has gone on to feature in several movies and TV shows, most notably Sand Castle, Set it Up, All Hail King Julian, Exiled and Hidden Figures (for which he received a Screen Actors Guild Award for Outstanding Performance by a Cast in a Motion Picture), amongst many others. Why Did He Break Up With Nina Dobrev? It is fair to regard The Vampire Diaries as one of the greatest TV shows of all time. So, when a handsome looking actor like Glen Powell is said to be in a relationship with one of the series’ lead cast, it is a big deal. That being said, it’s no news that the famous Hollywood actor was romantically involved with Nina Dobrev who played the role of Elena Gilbert in the hit TV show. Although there’s no information as to how they met each other, it is known that they started dating officially in January 2017, but mutually decided to end their relationship in November 2017 as they were both fully immersed in their career that they barely spent time together.